A few weeks ago we were raving about Burner The Scumfrog‘s latest album, “In Case We’re All Still Here“. I listened to it again last night, it just keeps getting better and better. Here’s a great (and rare) interview with the superstar DJ about the album, and life in general. I really liked his description of how once you’ve gone from starting out in your career, to having made it, you can be anywhere. Well, if you don’t want the album because you really need to keep your 8 bucks for something else, you can help yourself to a whole host of free music at his site, GlamScum.com – Glam Scum International Radio. 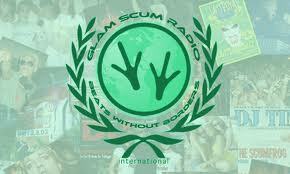 In 2008, superstar DJ and producer Jesse Houk aka The Scumfrog launched his radio project Glam Scum on Sirius. After instant acclaim and with a fast growing buzz from dedicated listeners, the wildly popular show is now available for licensing worldwide. Similar to shows like “The Essential Selection” with BBC jock Pete Tong, “Release Yourself” with Roger Sanchez, or “Ferry’s Countdown” with Ferry Corsten, Glam Scum is based on its host’s personal selection of upfront club sounds. The show’s main draw is Jesse’s finely tuned sense for the sounds that move a dance floor, and past show’s playlists prove that when it comes to predicting, discovering and premiering future anthems, the frog never misses a beat. However, what truly sets the show apart from other ‘club radio’ is Jesse’s long background as a radio-host, his approach to a truly international market, and his unique ability to alluringly characterize the global club industry through his presentation. From his studio on Sandia Mountain, New Mexico, he lends his insight, wit and personality to expose the face of the international Electronic Music scene: a movement that — while sometimes unfairly getting pigeonholed as faceless and obscure – still creates trends in all genres of music. No radio-host is more international than The Scumfrog. He moved to New York City from his native Amsterdam in 1997, and is mostly known for his club performances around the world, and his award winning studio work with international artists such as David Bowie, Missy Eliott, Cyndi Lauper, New Order, Britney Spears, Kylie Minogue, Amiel and Hikaru Utada. His own single Music Revolution was used in the TV ad for the Chevrolet HHR through 2005/2006. However, his resume prior to adopting his alter ago “The Scumfrog” is all about radio. At 19 (while still simply Jesse, and still in school) he started developing his on-air personality at local stations in Amsterdam. He quickly worked his way up to the national stage, eventually branching out into jobs as music director and program director. Even though Scumfrog-produced music has been a regular part of rhythmic radio programming since 2001, Jesse himself had been absent as a host on the airwaves since he left Amsterdam, until Glam Scum marked his return to radio-hosting, and his debut as American radio personality. 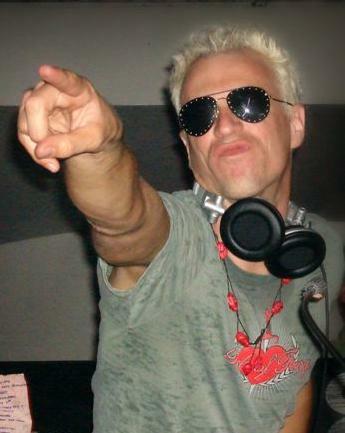 Since Glam Scum’s inception on Sirius in January of 2008 it earned critical acclaim from media heavyweights in the Dance Music community, and caught on fast with the broad Satellite radio audience, attracting not only Dance Music fans, but also a large new audience that otherwise wouldn’t tune in to voiceless ‘techno radio’. Subscribe to the free podcast on iTunes.